Mary DeWalt Design Group Inc.
Mary DeWalt is president of Mary DeWalt Design Group, a national, award winning interior design and merchandising firm based in Austin, Texas.Since 1983, Mary has been working with home builders and developers across the country and has won numerous local, regional and national industry awards for Interior Merchandising Excellence.Mary is recognized nationally as a leader in the field of model home merchandising. She is a frequent speaker at the International Builders Show as well as state and local conferences. 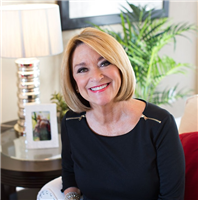 She is a frequent contributor to Sales and Marketing Ideas Magazine, 50+ Housing Magazine and other industry publications. She was the 2003 Chairperson of the National Sales and Marketing Council, 2006 President of the Institute of Residential Marketing and is a Fellow of the Institute.In 2007 Mary received the prestigious IRM Trina Ripley Excellence in Education Award at the International Builder's Show in Orlando and in 2008 was honored to received The Bill Molster Award from the National Sales and Marketing Council.